Keith E. Blackwell, M.D. graduated with distinction from Northwestern University Medical School in 1988 and then completed a residency in Otolaryngology-Head and Neck Surgery at the University of California Los Angeles School of Medicine in 1994. Following a one-year fellowship in the field of Microvascular Head and Neck Reconstructive Surgery at the Mount Sinai School of Medicine in 1995, he became a full time faculty member at University of California Los Angeles School of Medicine. He is currently appointed as Professor of Head and Neck Surgery. The vast majority of Dr. Blackwell's clinical practice is devoted to the treatment of head and neck cancer and reconstruction of the head and neck region, with an emphasis on head and neck reconstruction using free flaps. He is among the most experienced and busiest surgeons in the southwestern United States in the subspecialty, having a career experience with more than 1,300 free flap cases. He has been fortunate to gain national and international recognition of his work. Blackwell has achieved a career success rate that exceeds 99 % in the field of free flap head and neck reconstruction, which is among the highest success rates reported in the world's literature in this subspecialty. 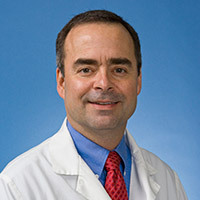 In 1998 Dr. Blackwell was appointed by his peers to be a founding member of the Microvascular Surgery Committee, which is the primary advisory committee to the American Academy of Otolaryngology Head and Neck Surgery for issues related to microvascular surgery. In addition, during the past years, visiting scholars from universities in Korea, Japan, Italy, Germany, and the Philippines have traveled to UCLA to learn surgical techniques, which have been perfected under his tutelage at UCLA. Dr. Blackwell directs a laboratory where the focus of investigation is the development of novel and improved methods of microvascular surgery. One major area of work is directed towards laryngeal transplantation, which may some day become the ideal method for rehabilitation of laryngeal cancer patients who undergo total laryngectomy, or surgical removal of the voice box. As a faculty member, Dr. Blackwell's contributions have focused on the creation of a strong research and clinical experience in the field of facial plastic and reconstructive surgery for medical students and postgraduate physicians. He is also very involved in the postgraduate training program in otolaryngology-head and neck surgery at UCLA. To foster interest and expertise in facial plastic surgery, he has organized and become Co-director of a postgraduate fellowship in facial plastic and reconstructive surgery at UCLA, which was inaugurated in July 1998. He has also acted as Director or Co-director of a number of instructional courses in facial plastic and reconstructive surgery. Additionally, he was awarded the Head and Neck Surgery Faculty Teaching Award in 1996, 1999, 2000 and 2004. In 1997, Dr. Blackwell was one of four faculty members nominated from a medical staff of over 1,000 physicians to receive the UCLA School of Medicine Outstanding Physician Award. An overview of common treatments for head and neck cancer.